This year we will be marking the 250th anniversary of the death of one of the most prolific and astonishingly productive composers of all time. He was born in Magdeburg on 14th March 1681, died in Hamburg on 25th June 1767, and was almost certainly the most famous and widely respected composer in North Germany at the time. On top of that he was perhaps the most innovative and adventurous composer until John Cage came along and pipped him to the top position in originality and experimentation. The trouble is, for all his astonishing creativity, his high regard amongst his peers and contemporaries, and his shocking originality, too many today regard his music as being under the shadow of another, whose output was significantly smaller, whose scope was negligible in comparison, and whose music was so conservative and backward looking that we regard him as the end of an era, rather than the originator of a new one. The anniversary is that of Georg Philipp Telemann who, since the Bach revival of the 19th century, has been put on to the back burner – a minimally interesting figure somewhere in the periphery of Johann Sebastian Bach’s perceived all-consuming greatness. The trouble with the Classical Canon – where certain 19th century German music philosophers decided to create a list of the “Great” composers – is that it elevates some at the expense of others, and often elevates them far above their true worth. Of Bach’s 1200 or so works, how many does the music-loving public really know and use as the basis for their belief that he was “great”? Yes, the St Matthew Passion, the B Minor Mass and the six “Brandenburg” Concertos are unquestionable pillars in Western art, but can anybody say the same of the plethora of organ chorale preludes which by far and away exceed in numerical terms everything else in Bach’s output? I would suggest, for example, that BWV731 and BWV679 count among the most dreary and uninventive of all organ pieces; and if you claim to be a Bach fanatic yet don’t know them, perhaps that is indicative of their lack of quality. Even BWV565 is a pretty dreadful piece of writing which most composition teachers would dismiss as feeble; even though it is becoming increasingly accepted that this is not a Bach original. Yet the elevation of Bach to the Classical Canon signed the death warrant for Telemann’s place in posterity, consigning him to the dustbin of “second-raters”; composer’s whose music cannot bear comparison with that of the God like geniuses of the Canon. Perhaps I exaggerate, but only slightly. Ask most music lovers and students about Telemann and they will as likely as not think “boring”, “dull”, “unimaginative” or, at best, “worthy”. And the trouble is, that attitude of second-rate has informed an awful lot of Telemann performances by those who see him as an interesting figure on the periphery of Bach’s life rather than a major figure in his own right. The tide, though, might be changing. And if it is going to change, then 2017 would seem an ideal time for it to happen. Already this year I have been stunned by a number of recordings which scratch the surface of Telemann’s huge originality. 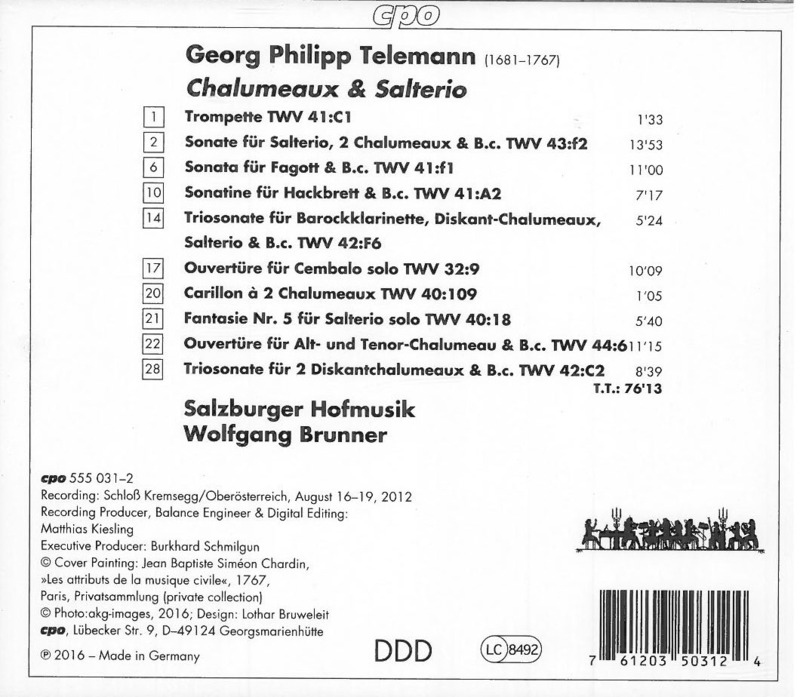 Perhaps the best example comes in a disc described as comprising Telemann’s works for “Chalumeaux and Salterio”, but which includes a revelatory Sonatine für Hackbrett. 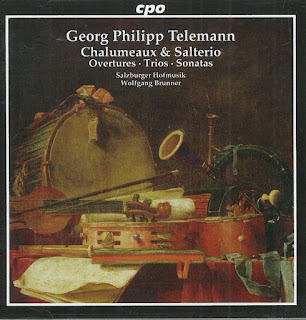 This is not quite a genuine Telemann work – it’s a re-working of the Violin work listed as TWV41:A2 – but it is based on Telemann’s own professed fascination with the hammered dulcimer, or cimbalom, which Wolfgang Brunner informs us in his fascinating booklet notes, was an instrument Telemann encountered during his time in the court orchestra at Eisenach and with which he seemed totally captivated. Sadly, while this disc offers a fascinating insight into an area of Telemann not previously exploited on disc, the recording is not all it might be, and I would be hard put to recommend this to those for whom music matters more than the novelty of instrumental colours. Not so an absolutely tremendous disc of Telemann’s music for recorder and chalumeaux from Il Giardino Armonico. Telemann, was, according to Brunner, “a passionate gardener”, so it seems strongly apt that a group calling itself “the Harmonic Gardeners” should offer such compelling insights into his music. I reviewed the disc for MusicWeb International, from whom the CD can be obtained. Sadly, however, you cannot get the vinyl which the record label (Alpha) launched with much fanfare and submitted for review, jumping on to the current revival of interest in vinyl. Despite the fact that the record was only released earlier this year, when, on my recommendation, my good friend Peter Almond sent off for a vinyl copy (he’s a mad-keen vinyl person), he was told that it was no longer available. One wonders what a record company thinks it’s doing withdrawing a potential best-seller weeks after releasing it. Unless, of course, it was all just one big publicity stunt? I wrote to Alpha Classics to ask what was their reason for withdrawing the vinyl product. Inevitably, they could not be bothered to reply; why worry about illegal downloads and cut-price streaming when the record companies themselves seem determined to kill their business? 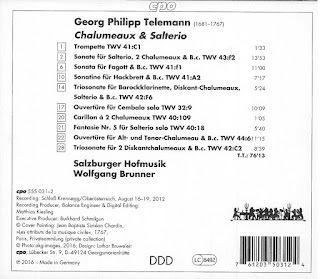 There are likely to be quite a few discs appearing this year marking the 250th anniversary of the death of Georg Philipp Telemann, but I doubt whether any will be better than this and precious few will even begin to equal it in sheer enjoyment value. In a word, this is outstanding. It will more than likely to turn a few heads in the direction of Telemann; still one of the most under-rated composers of the High German Baroque. 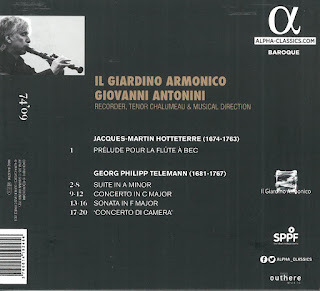 Il Giardino Armonico have been around for over 30 years and in that time have amassed a remarkable discography, as consistent in its quality as in the freshness and vitality they bring to the music of the 17th and 18th centuries. Their recordings have been issued on Teldec and Decca, and they have recently moved to Alpha, who are also releasing their recordings on vinyl. Working only from the CD version, I can say the recording itself is pretty special, the sound vibrant and full of detail; Stephen Greenbank reviewing the 2-LP release found the sound there every bit as enticing as I do with this single CD. It even has that “wow” factor; when the recorder breaks into the Menuet of the Suite, its electrifying scales fair take the breath away! Founder member and Director of Il Giardino Armonico for most of the past 30 years has been Giovanni Antonini, and he takes centre stage here with his astonishing ability not just to direct perceptive and vitally incisive performances, but to multi-instrumentalise. He even gets his brief moment alone with his flute, in a haunting solo Prélude from Hotteterre. 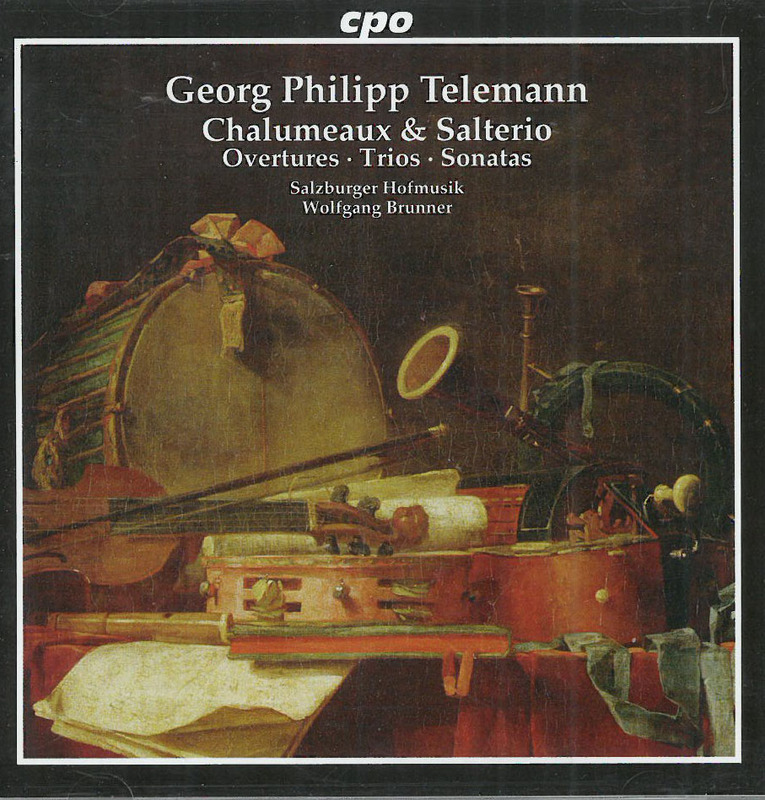 But this is a brief taster put in at the very start of the CD as it were to lay a false trail; Telemann’s music is far more vivid, vital and vivacious and a world away from the solemn sobriety of Hotteterre. With the stately tread of the Ouverture from the Suite in A minor we are led into what must be Telemann’s most frequently performed work. Familiarity most certainly does not breed contempt here, for I defy anyone not to be absolutely enchanted by the freshness and tantalising elegance Il Giardino Armonico bring the performance. The real icing on the cake, however, is Antonini himself who is not only a superb virtuoso player and an immensely capable musician, but someone who brings huge amounts of colour, variety and sheer élan to his playing. Articulation is crisp and richly varied, while his ornamentation confidently negotiates that fine line between tasteful and flamboyant. The C major Concerto is another frequently heard Telemann classic, and here again we have a matchless performance in which the bright, clear and open sound of C major provides Antonini with the opportunity to exhibit the beautifully bright and pure top register of his recorder, not least in the bubbling Minuet. Impeccable in their accompanying role, Il Giardino Armonico bring out a wealth of intricate textural detail to add great depth to Antonini’s graceful presence, even if around 2:30 of the Andante movement he seems to cram in rather too many ornaments for comfort in this evenly-paced account. The more intimate G minor “Concerto di Camera” is very much a showpiece for the flute, and with the accompaniment of just a pair of violins and continuo, Antonini has the opportunity to indulge in a few more interpretative flights of fancy, all of which exhibit a firm grasp of style mixed with a wonderful fluency of invention, alleviating the somewhat routine sequences of the opening movement. 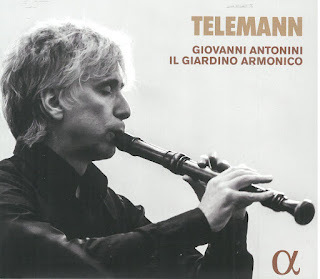 The real oddity on the disc is the Sonata for two chalumeaux in which Antonini, playing the tenor, is joined by Tindaro Capuano on the alto. The sound is strangely rustic - it’s almost as if we had stumbled across a Tyrolean street band, but one with impeccable technical and musical credentials – and there is something indescribably endearing about these two mid-pitched instruments bubbling away merrily enveloped within the string ensemble. They sound like two love-birds in a bush, and with the recording completely expunging any action noise or other mechanical distractions, we have a sound equally buoyant and arresting. You would have to be a particularly hard-hearted soul to resist the captivating charms of this fabulous CD.